ItemBARK_1990.0003.1028 - Acrobatic routine performed by one of the Hoy daughters; circa 1930. Item BARK_1990.0003.1028 - Acrobatic routine performed by one of the Hoy daughters; circa 1930. 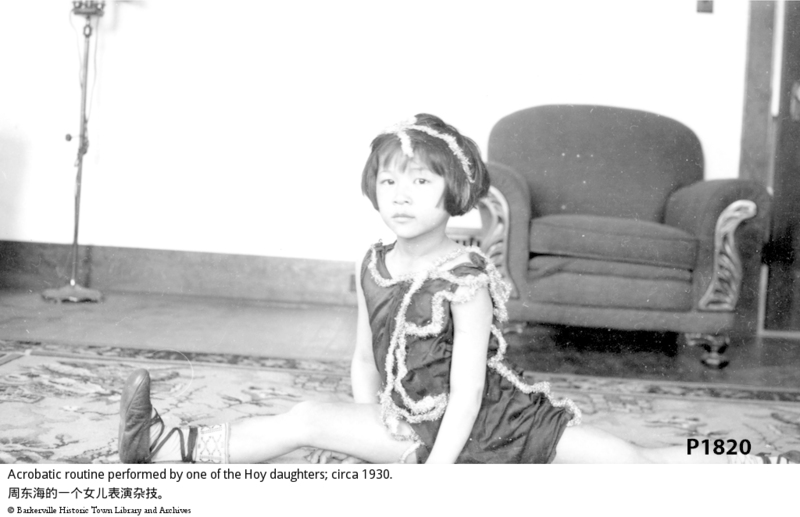 A young Chinese girl, dressed in a majorette type costume, doing a spread eagle on the floor. There is a stuffed armchair behind her and a floral rug on the floor. To the side is an electric floor lamp. Probably one of the Hoy girls. See also P 1819, P 1821 to P 1827 inclusive.